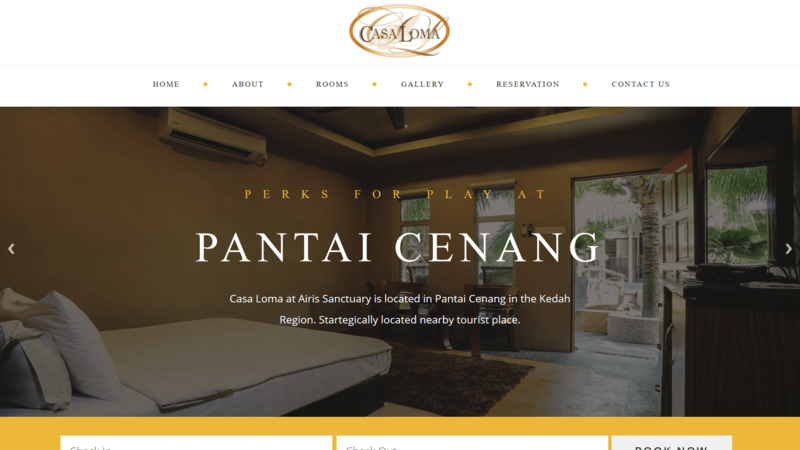 Casa Loma at Airis Sanctuary is located in Pantai Cenang in the Kedah Region. Startegically located nearby tourist place. It is only 1.2 km away from Underwater World Langkawi. The Rice Museum is 2.7 km away. Mahsuri Mausoleum is 13 km from Casa Loma at Airis Sanctuary. The most important is Langkawi Airport is just 10 km away and takes only 10-15 minutes’ driving. All units are air conditioned and feature a satellite flat-screen TV. There is a private bathroom with a bath or shower and bidet in every unit. The chalet features free WiFi throughout the property. Free private parking is available on site. It also has outdoor pool and Café which open for breakfast only.